Nearly one in five who seek bariatric surgery to treat obesity aren't psychologically prepared for such a drastic step, according to a new study. Researchers found that 18 percent of 500 people who requested bariatric surgery, such as gastric bypass or lap-band procedures, failed the initial psychological evaluation and were deferred from having surgery. The most common reasons people were not allowed to go through with the procedure included overeating to cope with stress or emotional distress, having an eating disorder, and uncontrolled mental problems, such as depression. Most patients who were deferred from bariatric surgery after their initial psychological evaluation were referred for psychiatric treatment. The researchers write that they will conduct a future study to look at how many of these patients accepted psychiatric referral and went on to have the surgery. "The goal of the psychiatric evaluation is not to keep patients from having the surgery. Rather, the goal is to determine if there are any problems that might interfere with the success of surgery, and have the patient get treatment for these problems," says researcher Mark Zimmerman, MD, of Rhode Island Hospital, in a news release. "In so doing, the patient is more likely to have a positive outcome from surgery that is delayed to allow time to address the problems." In the study, published in the Journal of Clinical Psychology, researchers analyzed the records of 500 candidates for bariatric surgery who were evaluated between 2004 and 2006. Nearly one in five of the candidates were not cleared for bariatric surgery as a result of their psychological evaluation. Two or more issues were cited in more than one in three cases. Researchers found only one patient was deferred because they did't understand the risks associated with bariatric surgery. 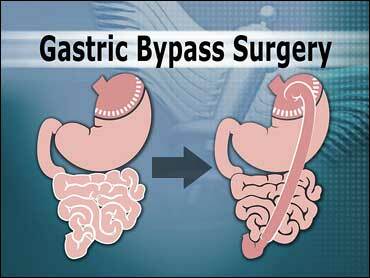 The most common eating disorder among those deferred from bariatric surgery was binge eating. Overall, the study showed that decisions regarding barring candidates from bariatric surgery due to the results of their psychological evaluation were consistent, and independent reviews of available patient information resulted in the same decision.